V-Soft Inc provides mobile application developments for various platforms like Android, iPhone, Blackberry, Windows, Java ME, Palm etc. Even V-Soft is approached by various customers & corporate to help them with the new technological enhancements like Android on their existing network. Ashwin Vora, CEO of V-Soft Inc, is very much prospective about the Android platform and has carved the way with various Android mobile applications to help out their numerous clients across the globe. V-Soft is catering the mobile application development services for certain platforms to the clients for more than five years. V-Soft technical team has acquired all types of expertise to cope up with the new developments in technological fields. They are ready to serve and dig further the technological advancements for better mobile applications for their clients business and personal use. One of the large challenges to the mobile application world is the continuous flow of new mobile devices and mobile platforms require a hefty investment to get specialized resources, knowledge and programming skills. This is not a simple task and not affordable to all companies. Due to the great company efforts, V-Soft has been empowered with the required skill to fulfill the client’s existing application requirements as well for future. The high qualified resource team for upcoming new mobile & application developments are continuously working on finding the new ways to cater the clients, the world best applications and services on numerous platforms. 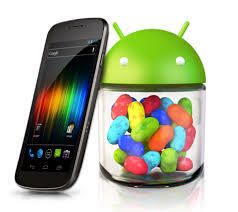 Android is a prospective open source platform for daily updating new features progressive platform. V-Soft as a competent company is well equipped with all expertise providing the application services and software developments for their world wide clients. If you are looking for the developing the new business application or any other custom application for individuals or business, Get the professional services of V-Soft Inc. Get further more information here for mobile application development. V-Soft is a Silicon Valley based product and mobile development services provider offering mobile application development services across wide range of platforms. The company has immense expertise in Android, Symbian, BlackBerry, Windows Mobile, Windows Embedded CE, Embedded Linux, Mac X, and custom iPhone application development and offers services to help customers improve functionality, reduce time to market, and improve quality while reducing costs by up to 60%.